Defence Connect can confirm that the Australian Industry & Defence Network (AIDN) will create a new chapter in South Australia following the shock extraction of its state-based alliance partner the Defence Teaming Centre (DTC) in February this year. According to the industry body, the formal launch date of the new chapter will be communicated shortly, and is seeking interested parties to join its renewed focus in the state. “AIDN South Australia is looking to build a groundswell of small to medium enterprise members, for whom it will provide dedicated state-level support through access to advocacy at national level, connections to trusted partners at local, national and global levels, and tailored supplier development and diversification services,” AIDN said in a statement to Defence Connect. The re-establishment of the SA chapter garnered support from other state chapters within AIDN to ensure delivery of both local and nationwide support for its members. “Our NSW members with offices in South Australia will welcome the alternative that this development provides in the state, with the added benefit of its alignment with AIDN nationally,” AIDN NSW president Medhat Wassef said. South Australia is expected to play a greater role in defence projects in the coming decades, with both the SEA 1000 Future Submarine and SEA 5000 Future Frigate Programs to be run from the state, among other major defence programs. AIDN’s commitment to reaffirm its position in the state may give greater access to AIDN members to capitalise on these lucrative defence contacts and supply chain opportunities. At the time of the AIDN and DTC split in South Australia, the member body said it has been working hard to establish a single voice on behalf of all members nationally, but hinted the organisation is learning to adjust to a "new order" within the defence industry. “AIDN National ... continues to work with various representative bodies and state and federal government organisations to ensure that we too are adapting to the new order of true collaboration to build the necessary capacity of our industrial base in support of key defence programs," AIDN said. 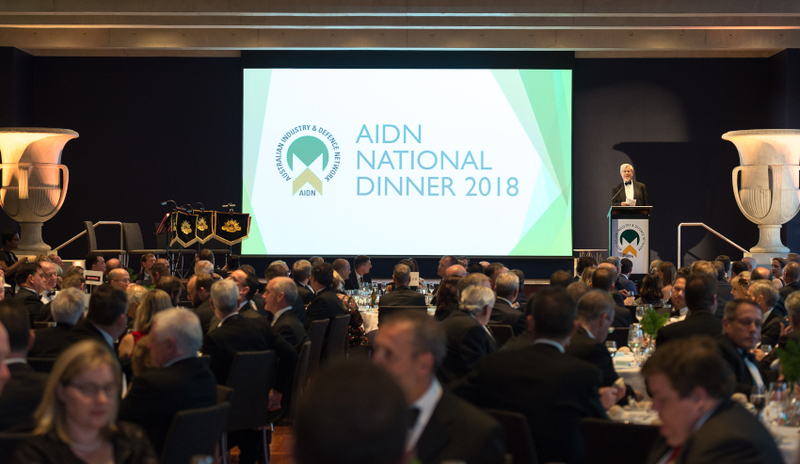 "AIDN reaffirms that its focus will remain to be the representative of the large number of SME suppliers in support of the Australian defence and security forces. It will continue to provide this on a national basis in all states and territories. The success in providing this representation is reflected in a growing national membership base and its continued advocacy and support to the SME community." As reported by Defence Connect, misalignment in strategic direction and potential conflicts led DTC to withdraw from its role as the representative for AIDN‘s South Australia state chapter in February. DTC chief executive Margot Forster said the decision to sever ties was made to address ongoing conflicts of interests. "Increasingly, we have found that DTC’s role as the SA-based chapter of AIDN conflicts with the DTC’s national focus and reach. This has not been in the best interest of our members,” she said. Forster said feedback from members over the years was also influential in the decision to part from AIDN, noting members wanted to see an organisation with more reach, focus and a strong national voice. "In recent years, the feedback we have received from our members and other key stakeholders is that the DTC should have a national focus and, where appropriate, should extend its services outside of South Australia. This view was tested and validated by the member and stakeholder survey conducted at the end of last year," she said. Forster added that the DTC would still look to collaborate with AIDN "as we seek to achieve and deliver the best outcome for our industry".